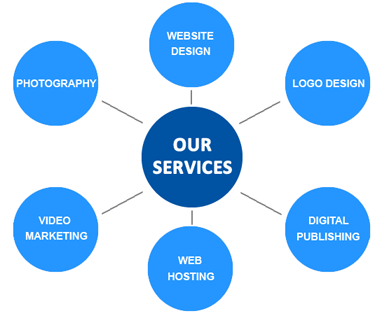 Studio Arts web design provide professional website design and web hosting services, video marketing, photography, logo and newsletter design, plus digital publishing all at very affordable prices. With a wide range of satisfied clients we have been designing unique custom made and CMS websites for many years and also provide a selection of pre-designed templates that enable the small business owner to have their own professionally designed website on even the tightest of budgets. We specialise in a speedy service for small businesses and self employed professionals who require a website set up and showing up in the search results in double quick time. No need to wait for weeks or months to get your business online, we can have you up and running within a few days. We can also promote your business and website online via our SEO and Video Marketing services and help you build a strong social media presence too. To learn more about our web design, web hosting, digital publishing and marketing services, or if you would like to discuss your requirements, please give us a call. "Mike at Studio Arts designed and built Pro-Smart's original website a few years ago and since then has helped us develop it further. It didn't take long for www.pro-smart.co.uk to reach the first page in Google rankings. However, with the increasing use of smart phones and tablets, we decided to bite-the-bullet and totally upgrade the website to a 'responsive' type. We are delighted with the new site and must say how easy and stress-free it was dealing with Mike to achieve exactly what we required. Thank you again."